Gusset expands to 1 1/4" to accommodate bulkier materials. Hook-and-loop closure designed for everyday use. 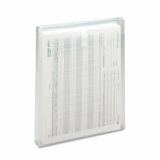 Smead Top-Load Envelopes, 1 1/4" Exp, Jacket, Letter, Poly, Clear, 5/Pack - Protect important documents long-term in these acid-free, archival quality envelopes or use to organize everyday papers. Heavy-duty polypropylene resists tears and repels moisture. Tough, top-loading envelopes feature 1-1/4 expanding gussets that are big enough to hold more than 200 sheets of paper. 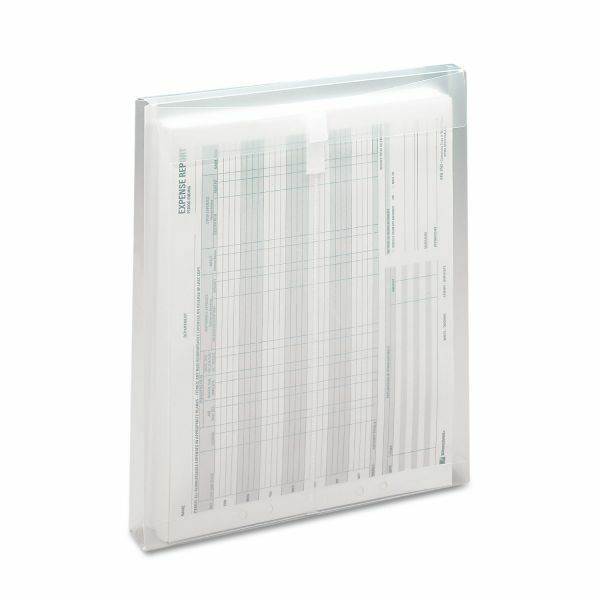 Letter-size envelopes offer a hook-and-loop closure for easy opening and closing."